You choose how to burn down your opponents with this powerful, 60-card, all-foil deck. 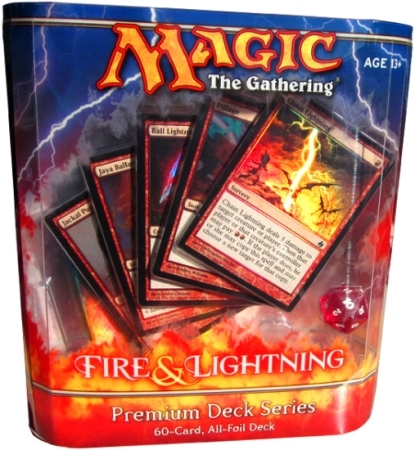 It contains famous flames, bolts, and beats from across Magic history, including several never before released in foil! Blaze your path to victory and serve your foes well done. Great deck once you know how to play it. I've beaten my frie ..